Sometimes, I’m in the mood for healthy and chocolate and low effort, all at once. And by sometimes, I mean all the time (who isn’t, really?). That’s where these babies come into play. 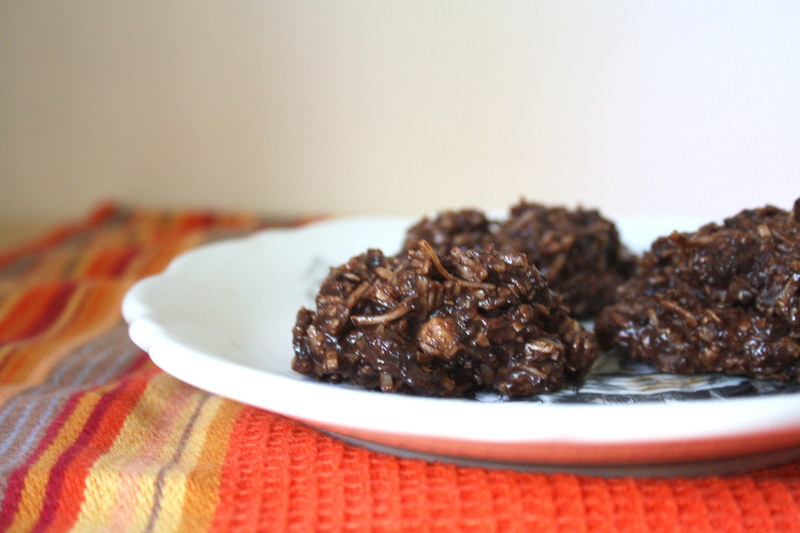 They are easy, delicious, filling, chocolate-y, and require NO baking. They are also gluten-free, nut-free, and vegan! In addition, what better way to celebrate Canada Day that with a recipe involving maple syrup? I’m always looking for excuses to eat more of the stuff…rock on, Canada! Enjoy your day off! Mash the banana and mix the wet ingredients together. Add the cocoa, then the coconut and salt, and the chia seeds if you’re using them. 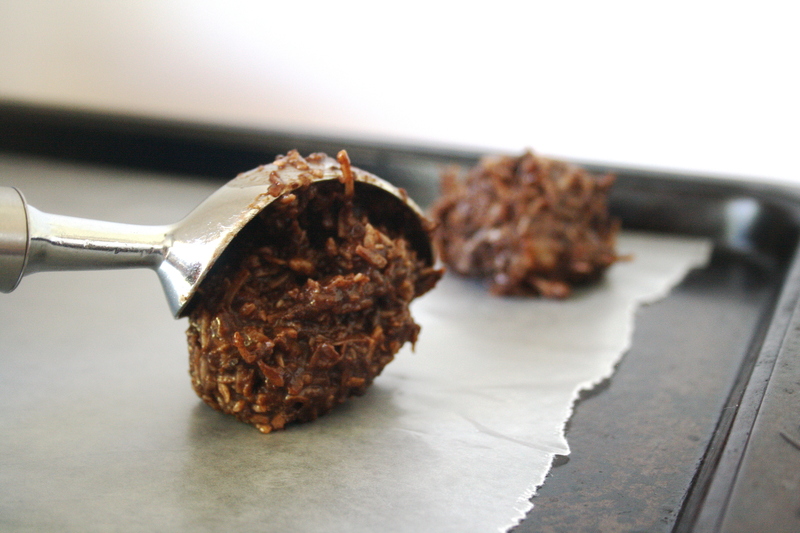 Form into 1.5 inch balls and place them on the wax paper-covered tray or plates. Stick them in the freezer for about half an hour and you’re done! Keep these stored in the freezer until you’re ready to eat them…they make an awesome chilly treat on a hot day. This recipe of awesome was initially found at Oh She Glows – definitely a great lady to check out! 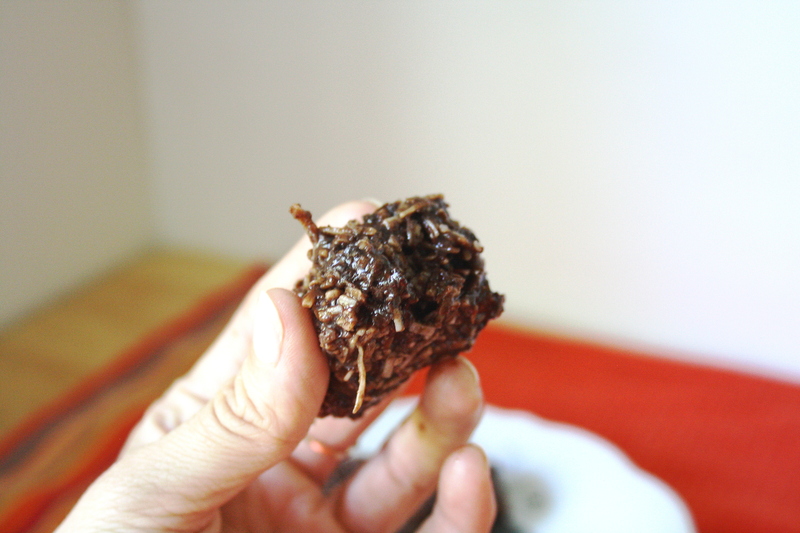 Now, if you’re feeling like something healthier, but with perhaps even less prep time, check out this amazing Cacao, Almond + Coconut AMAZE-BALLS over at Hollystic Wellness. I love the name, and I love how simple and easy this recipe is. So, friends, now that you’re armed with some amazing ball options, what are you waiting for? Get out there and make some awesome!